Share your Knowledge. Be Recognized. The Leaderboard recognizes members who have achieved Black Diamond, Gold Crown, Silver Crown, and Bronze Crown champion levels through top postings, comments and contributions. Members who achieve Leaderboard status consistently share their expertise, solutions and best practices with the community, thus establishing their reputations as knowledge experts on Cloud Customer Connect. Here, we recognize members whose significant contributions - be it through posting on forums, commenting on other members" posts, or submitting great ideas - earned them entry into our Hall of Fame. Top Member themes rotate every month. The Community Spotlight recognizes members of the Oracle Cloud Customer Connect Community who contribute to the community by sharing their knowledge with peers, being helpful, and supporting other members. Testimonials are a compilation of recent comments from members detailing their positive Customer Connect experiences. How are the Spotlight members selected? 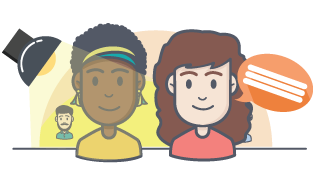 Spotlight members are chosen based on their contributions to the community —from answering questions to sharing insight with other members of the community. What is the benefit of being selected as a Spotlight member? Spotlight members are recognized as key contributors within the community. These members are featured in the monthly newsletter and also highlighted on the home page. Spotlight members will have a badge placed next to their username, reflecting their valued standing inside the community. What are the expectations of the Spotlight members? We only ask that you continue to contribute to and share your knowledge and experience with the community. Can I nominate a community member for a spotlight award? Yes, please submit the community member's name and why you think that person should be a Spotlight member. 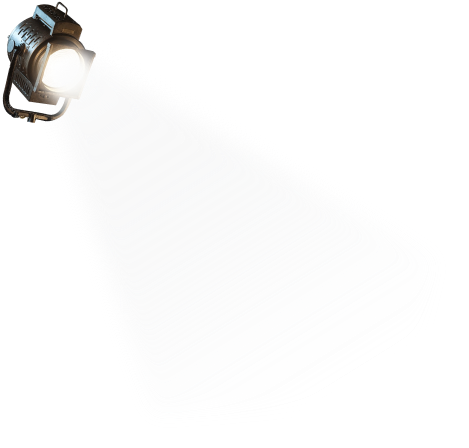 Who can I contact if I have questions about the Spotlight program? If you have question or comments, please send an email to appsconnect-help_ww@oracle.com. Manage your Reputation. Strengthen your Personal Brand. Your reputation matters – especially within a collaborative and dynamic community such as ours. By becoming a trusted member of the community, your professional reputation and personal brand gets a significant boost. And it’s easy to do. You have two ways to manage your reputation within Customer Connect: achieve Champion Levels and acquire Badges. You may also be inducted into the Hall of Fame as you continue to help others succeed with Oracle Cloud! Champion Levels are awarded for points earned through contributions to the community and establishes your reputation within Cloud Customer Connect. You are awarded a Certificate of Achievement when you've reached a certain point level, with the option to add it to your LinkedIn profile. Because your Champion Level journey is an ongoing one, you earn points every time you post a new topic, submit an idea, comment on an existing post, rate content, get rated by other members, or providing a best answer. Find out what it takes to be a community champion by visiting our Champion Level page. Badges are a way of displaying your knowledge and expertise, and you collect them as you contribute to the community. They are earned when you have met the requirements for achieving a particular badge. 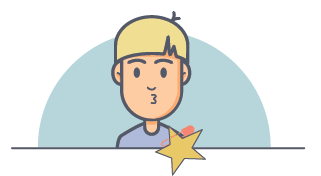 For example, members who have created new posts on the community forums are awarded a Conversation Starter badge after their 5th, 15th, 50th and 100th published posts. See our Badges page for more information along with a complete list of all the badges available to you. Top Members: Discover a monthly rotation of stand-out contributors, including Top Problem Solvers, Top Idea Contributors, and Top Active Members. 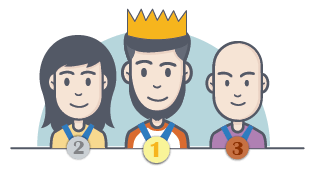 Leaderboard: Check in to discover who among your peers has reached Black Diamond, Gold Crown, Silver Crown, or Bronze Crown champion status. Spotlights & Testimonials: Get to know the folks who share their knowledge and expertise in our Spotlight section, and read first-hand reviews in Testimonials. Reminder: The community is only successful when everyone works together and abides by our community guidelines. Please don't rate comments, posts, content or perform any other activities just for the purpose of gaining points. We reserve the right to determine the legitimacy of members' points and remove points, champion levels or certificates accordingly.